Energize spaces and places and set the stage for learning success with contemporary designs and fun patterns. Showcase student work with sparkle ... display bulletin boards with flair .... add pizzazz to scrapbooks, crafts, and projects ... the possibilities are endless! 2 3/4" x 35 3/4' per pack. Precut, durable, reusable. 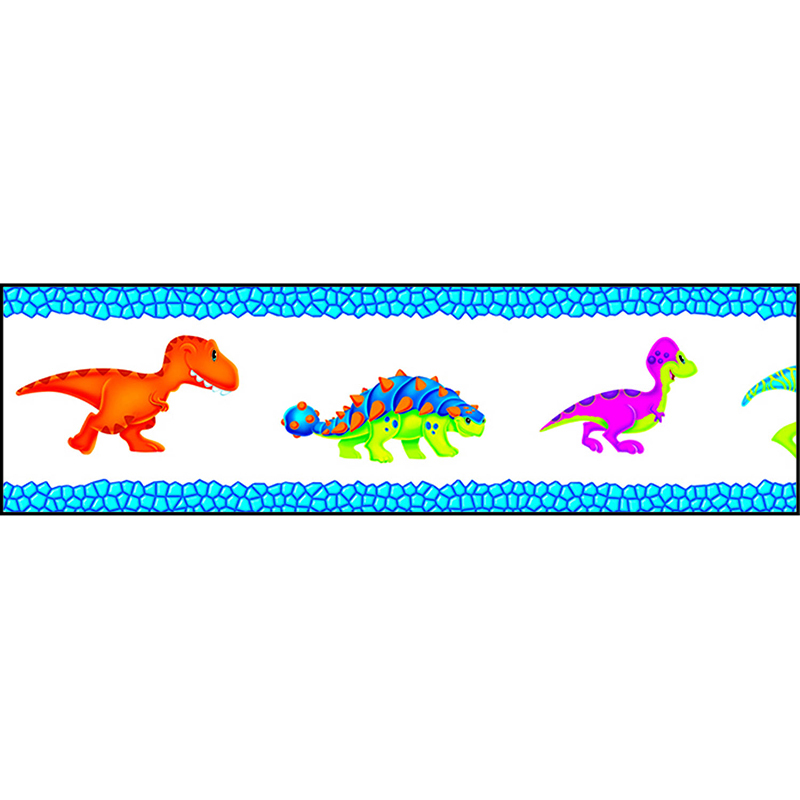 Coordinates with Dino-Mite Pals™ Collection.